Europe’s biggest B2B mobile games industry event, Pocket Gamer Connects, returns once more to London on 21st to 22nd January 2019. And this time it’s bringing back-up with two sister events; PC Connects and Blockchain Gamer Connects. No matter which show you book for, your ticket will get you into all three expos. Get your 20% discount with our Early Bird prices and book now! But today we’re here to talk about the amazing 21 conference tracks across all three shows, starting with Pocket Gamer Connects. 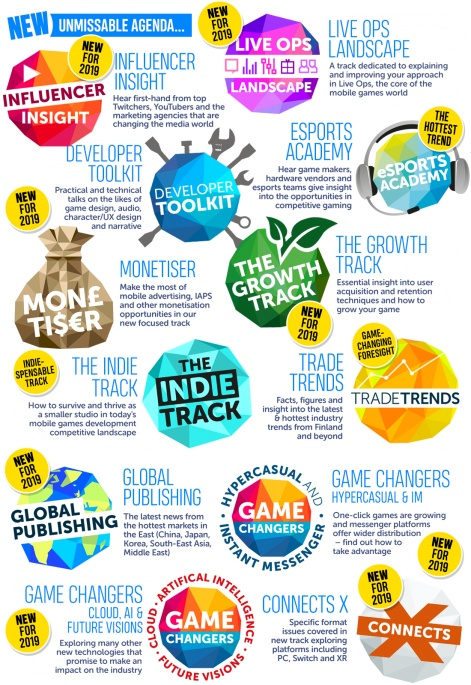 Pocket Gamer Connects London presents an amazing 12 conference tracks, covering everything from growth and monetisation to influencers and AI. 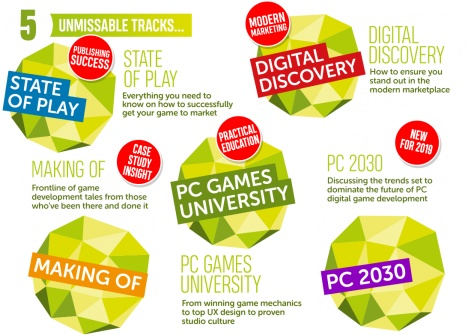 PC Connects London adds a further 5 tracks including what it takes to make a game and how to bring it to market, as well as looking to the future of PC digital game development. 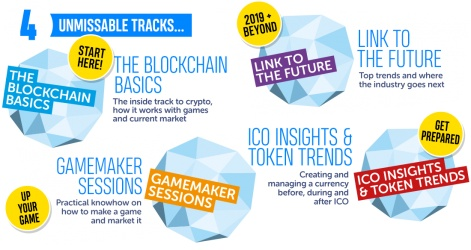 Hot from its outings in San Francisco and Helsinki in 2018, Blockchain Gamer Connects London makes its UK debut in 2019 with 4 tracks from the blockchain basics to the hottest trends. We’ll reveal the first speakers very soon, but for now you can view the overview schedule to get an idea of how the conference schedule is taking shape for Pocket Gamer Connects London 2019. Keep an eye on that page for the full schedule nearer the event dates of 21st to 22nd January.